I seen it on the Facebook, beautiful long points. Couldn’t ask for a better looking animal. And a lovely specimen it is! Good job for the hunter. Drawing the once-in-a-lifetime moose tag is.... difficult. I believe that the hunter had 30 points! Basically, we build a point every year we're not selected. He may have accumulated points in other ways as well. Sometimes they're granted for turning in a poacher or something. But ya, 30 points... Sigh.. I don't think I'll live long enough to draw the tag and am in the process of deciding if I want to even continue to purchase applications for moose, bighorn and mountain goat. Chances of being drawn are extremely slim. I do hope my youngest son continues to apply for points, he's not yet 30... I started applying for him when he was pretty young. Maybe a chance of being drawn someday? Congrats to the hunter! Excellent moose. Some pretty impressive points on that bull! yes sir , that's a nice one . thanks for posting this up . Wow, what a beautiful bull! 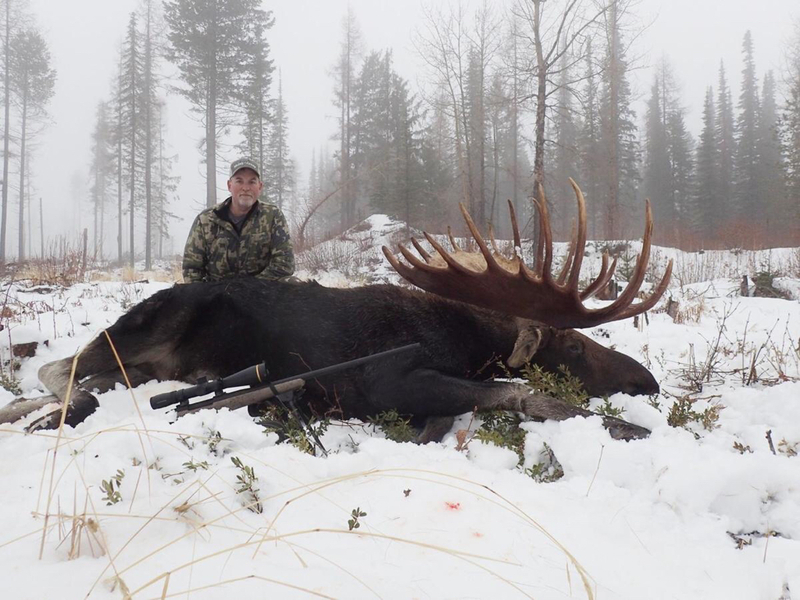 That's a monster of a Moose! I could only dream of such a prize walking in front of me! WOW! He's going to have a lot of meat from that one! Yummy! It was a HAWG...I've never seen one like that here in NE Washington. Wow what a moose. With or without any kind of score it's just impressive on all fronts. Thanks for posting. Drove up there once and got a grizzly and a wolf. What an awesome trip! Fly up there every couple of years to fly fish for silvers, near Cordova. Love it! That is a dandy Bull !! Congratulations to the hunter and thank you for the post with a photos . My buddy came up to AK 2 years ago, taxidermist has his 65” bull. He’s letting the local gun shop keep it for now hahaha.